SkyNet's converged communications solutions enable powerful new business communications capabilities and applications across the enterprise. Regardless of the size of your organization or the sector in which you operate, SkyNet can help you leverage advanced communications for competitive advantage. SkyNet responds to the needs of the enterprise with solutions that deliver the power of voice, data and video to users anywhere, anytime and through any media. SkyNet offers small businesses of all sizes complete communication solutions that make life easier and let you get on with taking care of business. Our secure and easy-to-use systems answer your needs for a telephone system, a computer network, Internet, e-mail and more in a very economical manner. Successful decision making requires immediate access to the right people at the right time for the right decisions. Personal, campus or enterprise mobility - from corridor warrior to road warrior, connectivity drives smart business, lowers cost, delivers competitive advantage, and increases productivity in the moment. Your employees are constantly struggling with communications overload, forced to use several devices to deal with multiple voicemail boxes, e-mails and fax messages, all while trying to be more accessible and responsive to their valued customers. Enabling effective teamwork is becoming increasingly difficult. Teams today transcend physical boundaries and extend into partner organizations. SkyNet provides intuitive communication and collaboration solutions that create a presence enabled business-centric communication environment letting people work together from anywhere, anytime. How quickly and efficiently you meet your customers' expectations and demands will determine their loyalty to you. SkyNet provides innovative solutions that will help you better handle your customers' needs, and create long-term, strong customer relationships. 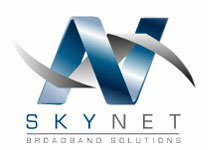 SkyNet Healthcare Solutions provide the tools to improve operational efficiencies and enhance patient care. SkyNet's communication solutions for higher education support academic achievement through providing improved access to professors and administrators coupled with operational cost savings. SkyNet's primary and secondary education solutions put valuable technology tools in the hands of students, educators and parents. SkyNet's solution for the hospitality industry deliver advanced communications that improve the guest experience, enhance operations and create new revenue streams. As a retailer, you are constantly being challenged to deliver superior customer service while keeping business costs to a minimum. SkyNet is helping retailers succeed with a suite of powerful Networked Business Solutions that combine voice, video and data over IP to improve your responsiveness to customers, provide greater efficiency across the business, and dramatically reduce communications costs. Enhance the reliability, flexibility, speed and security of your financial institution with SkyNet Financial Services Solutions. All levels of government face the increasing pressures of improving client services while enhancing responsiveness and security for their constituents. These factors coupled with the need to optimize infrastructure place increasing importance on the need for effective communications.